Some observers seem surprised that, with projected dairy returns dropping, enthusiasm to invest in agriculture remains buoyant. However, if the South Waikato rural property market is an accurate gauge, many involved in dairying are in a positive frame of mind: Farms are still changing hands at, or just below, record prices. At present, both locally and in much of the rest of the country, two factors are holding the rural property market steady, enabling it to withstand reduced dairy payout projections: First, confidence in the long-term health of New Zealand agriculture remains strong; and second, prospective buyers of farms outnumber sellers. 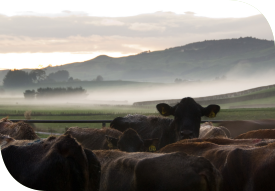 Autumn farm sales in South Waikato were consistent with previous years. Prices for dairy land remain firm in the face of the uncertain outlook. On the Central Plateau, dairy land transactions reached an all-time high point of $57,000 per hectare, with other sales at lesser prices in a broad range up from $29,000 per hectare. Dairy support farms also sold well between $13,000 and $22,000 per hectare. While reduced activity more recently could indicate waning confidence, the market generally slows through winter anyway so that conclusion does not necessarily stack up. That is the ‘glass half full’ version. Others will see it differently. Time will tell who is right. That said, if global dairy auction prices have bottomed out and are set to climb again, any deterioration in rural property values is unlikely. Of course, the outlook for dairy has created some anxiety, which could result in local properties offered for auction before calving. However, any suggestion that banks will apply pressure to force mortgagee sales runs against the facts: Banks are more interested in protecting their own positions by supporting clients through these challenges. They will work hard to ensure every effort is made to keep people on farms and able to meet their interest payments. We see no sign of farmers putting property on the market under pressure from the strain of the reduced payouts. Any bargain hunters waiting for a ‘fire sale’ will wait in vain. Demand remains strong, therefore, and will likely continue at a high level through to spring, particularly for well-developed, favourably located dairy properties with modern farm infrastructure, but also for well-balanced sheep and beef properties capable of running 5000 stock units or more. Anyone with a farm to sell over the next few months, particularly if it meets those criteria, will soon find a willing buyer.